Iris folding is a unique way of systematically folding paper to make beautiful designs and patterns. In this group, you’ll make stunning cards for your family or friends. Bring pretty papers, cardstock for the backing, scissors, tape, and glue. 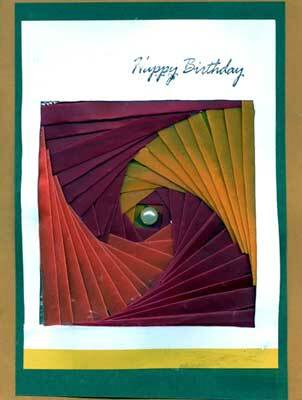 Never tried iris folding before? Don’t worry—members of the group are always happy to show beginners how to do it! Meet in the teen corner in the library. No fee, and no need to register—just join us!